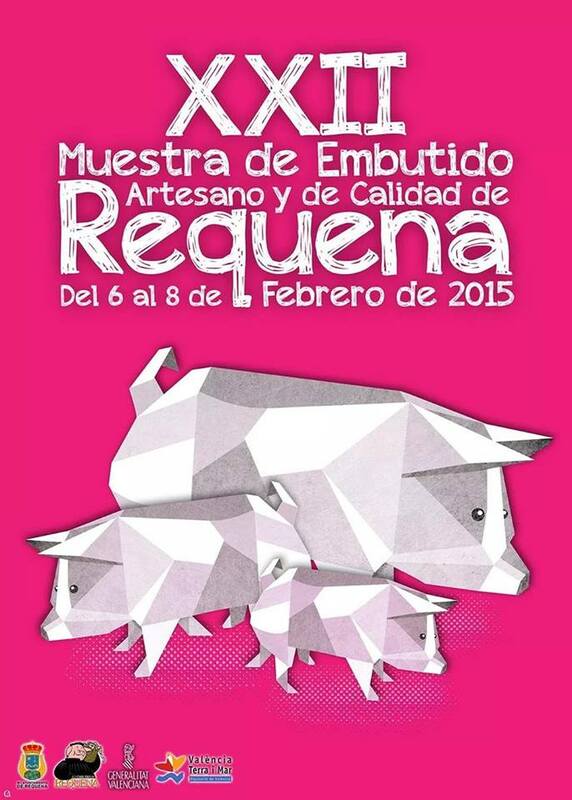 Requena Sausage Fair 2015…More for the Visitor to See and Eat!!!! 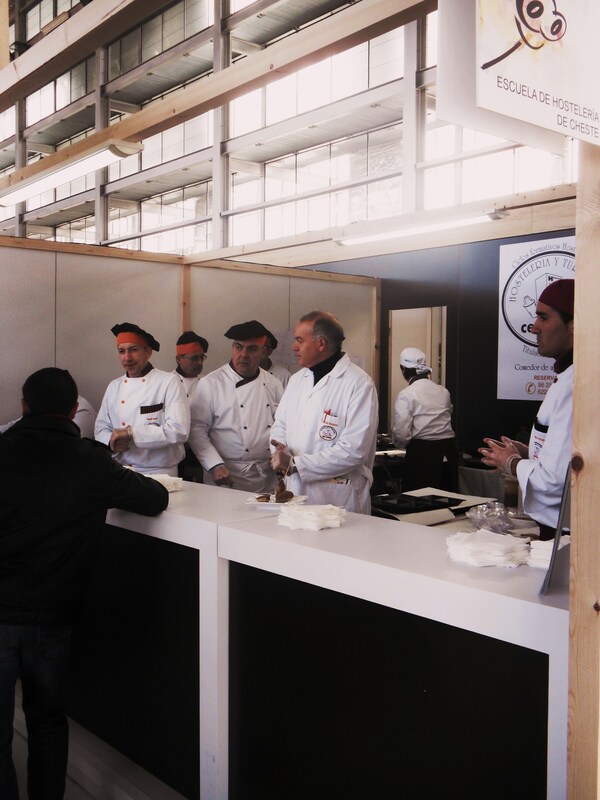 Valencia´s gastronomy year traditionally commences in February with the Requena Sausage Fair….Muestra de Embutido Artesano y de Calidad de Requena. This year was the 22nd edition of the fair which is now firmly at home, indoors, in the towns Feria Recintal. On a cold mid-winter weekend with snow on the ground outside this was maybe welcome and certainly the fairs organisers have the layout sorted out so that at peak times there is sufficient room to move around. The organisers have also stepped up to the plate ( no pun intended) in reviewing activities and options for the visitor to this celebration of the products from the pig! Some of the 25,000 visitors! This year the committee behind the fair had thought very carefully about how to offer more, and it paid off, with 25,000 visitors over the three days and 12,500 kilos of sausages alone being eaten. It used to be the case when the fair was held in the streets that there was a hog-roast and the sausages were cooked over huge barbecues. That went a couple of years before the fair moved indoors but this year in exchange for one of the tickets purchased on entry you could once again enjoy chorizos, longanizas and morcillas cooked in the open air over the brassa. 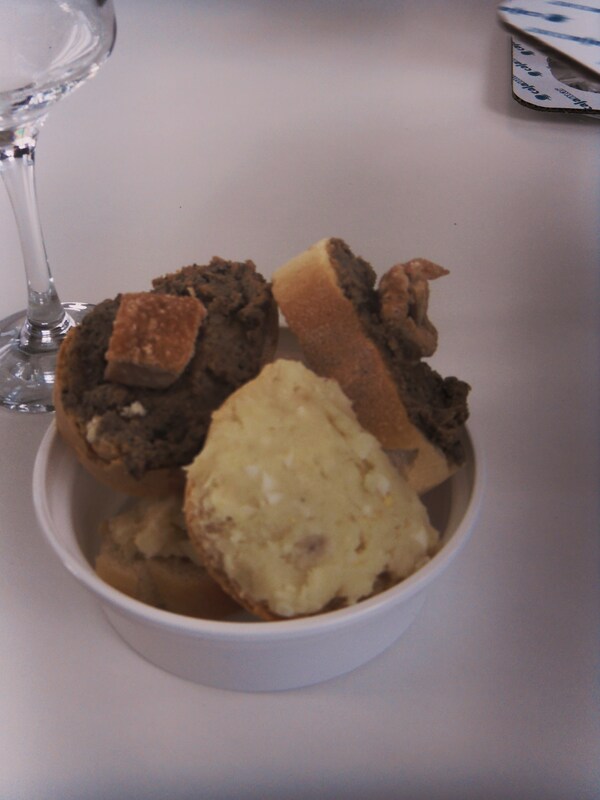 Of course, the fair showcases more than these three sausages. In fact the CRIGP, (the governing body which controls, regulates and promotes the protected sausages from Requena,) has seven products. The remaining four are güeñas ( a spicy longaniza) perro, ( a botifarra served cold) salcichon and sobrasada. At the launch of the fair the town´s mayor and the tourism minister ( respectively Xavier Berasaluce and Sebastien Fernandez) re-iterated that Requena has its own distinct gastronomy and that gastronomy as a whole is a key element in promoting the Valencian region as a whole. 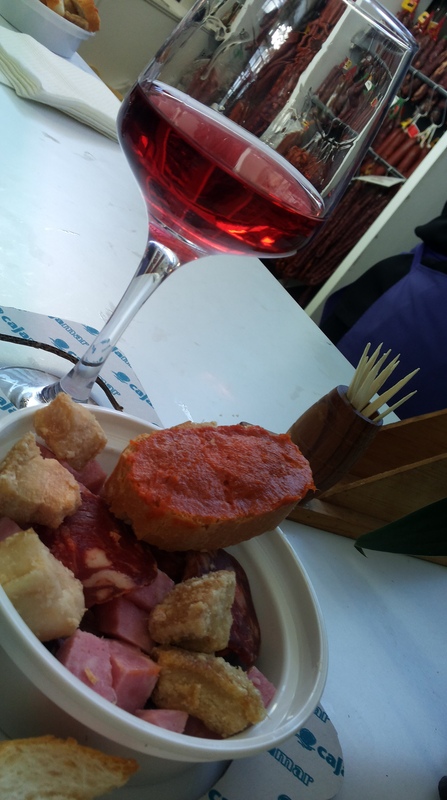 The traditional dishes from the interior of Valencia are every bit as important in attracting tourists as the seafood dishes of the coast and paella. To spice up the visitor experience therefore the fair introduced some new elements. Local restaurants and bars have been involved for a couple of years in providing sample dishes at a parallel fair called Tasta la Dipu. The local cookery colleges have also been involved in cooking some of the plates with an emphasis on some of the traditional rice dishes such as `arroz de la matanza´. 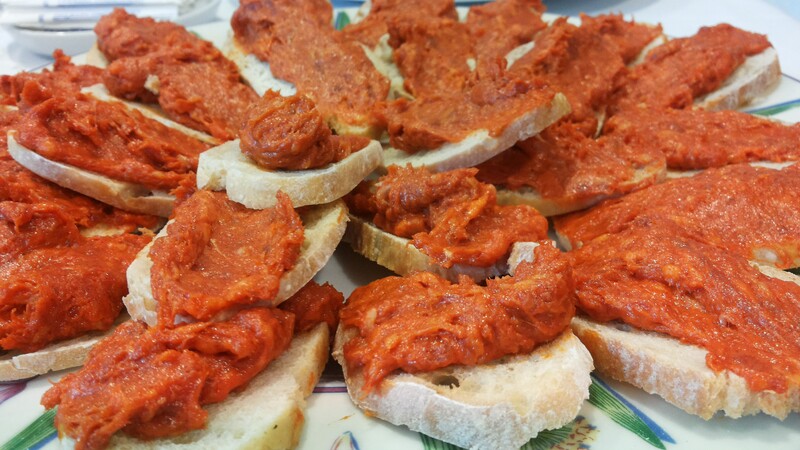 Similarly the towns housewive´s associations have provided some local tapas such as mortuerelo and ajo arriero. 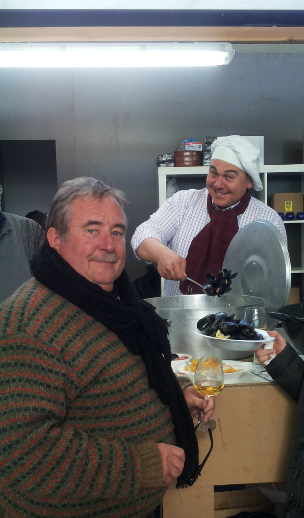 This year therefore the aim was not just to provide these dishes for the visitor to sample. Through the medium of `showcooking´ ( cookery demonstrations) filmed by the local TV crew and projected live onto a huge screen the visitor was able to watch the preparation and creation of these famous plates. Cristian Cubas, head chef at the town´s `Los Cubillos´ restaurant (itself a source of excellent traditional local dishes) gave a demonstration of how to prepare some of Requena´s local rice dishes using sausages as their main ingredient. Requena also has good local producers of other healthy produce! This year for the first time, Spain´s only remaining ostrich farm, which is in the nearby hills, was selling burgers and steaks. The excellent local artisanal cheeses from Quesos Hoya de la Iglesia in nearby Campo Arcis were selling their products and the towns coffee producers and distributors Reke were providing an alternative to drink! As another alternative and a way of showing gastronomy from a different part of the community this year saw an innovative invitation to the Clochina del Mediterraneo. Clochinas are the very special mussels from the port of Valencia, grown on floating pontoons. The visitor was able to try steaming bowls of this tasty mollusc, or the famous red prawns from Denia ( if you have never tried these it is worth a pilgrimage just to savour the incredible depth of flavour from what are considered the best `gambas´ in Spain) or a rice dish with seafood and boletus all served by Chema Ferrer. Chema is another of Valencia´s genial newshounds who has a gastronomy bent, writing for Las Provincias ( Valencia´s major newspaper), running the weekly radio programme `Comer and Beber´ and producing video shorts for a new App ( Wines and Spirits TV ) amongst other projects. 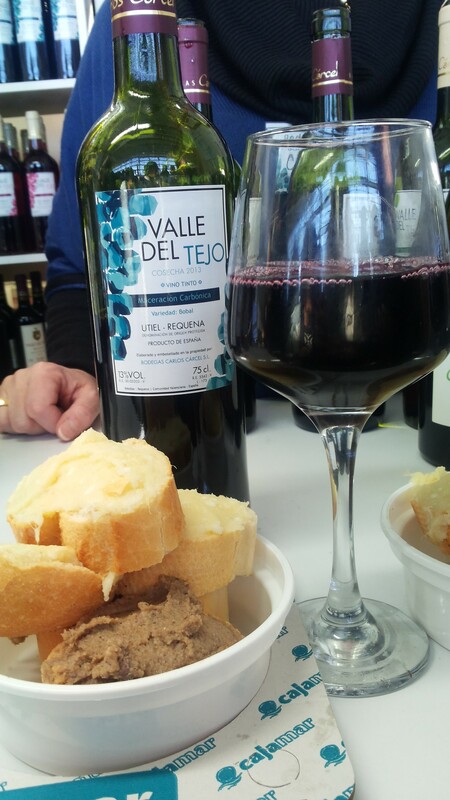 Now, of course Requena is home to another famous product, the wine region of Utiel-Requena! 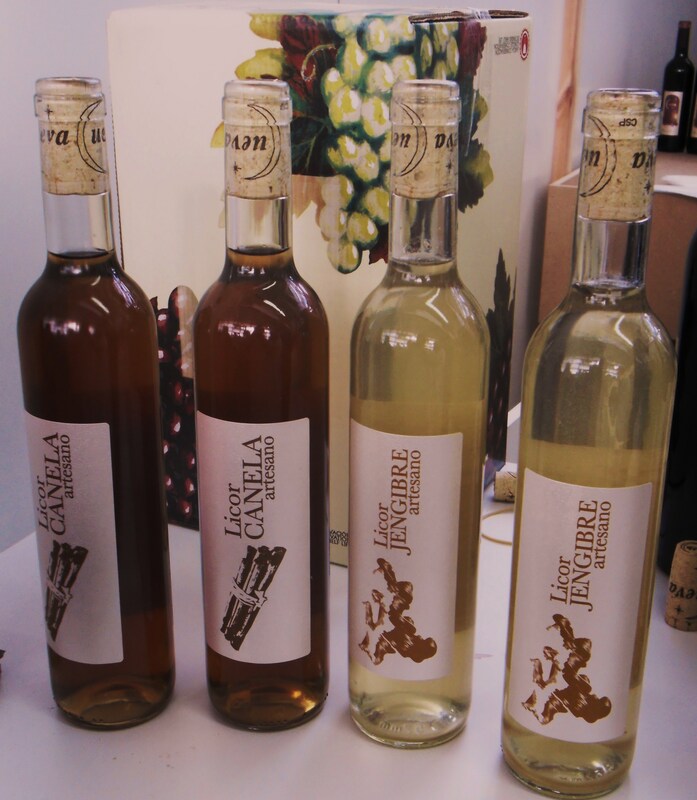 Seven bodegas had been invited to participate in the fair providing an opportunity to combine eating and drinking the regions products together! We took the opportunity to talk with Luis Miguel Latorre of Latorré Agrovinicola whose wines VÍ vid had shown earlier in the week at an English Language Tasting. Also exhibiting wines were Carlos Carcel who makes the only Bobal wine by the Maceration Carbonic method. We also enjoyed wines from the Coviñas Cooperative whose wines are widely available in the UK through Aldi and those of Ernesto Carcel ( El Rebollar) whose oak aged Macabeo is a perfect accompaniment to paellas. Maceración Carbonica, Bobal, Carlos Carcel. 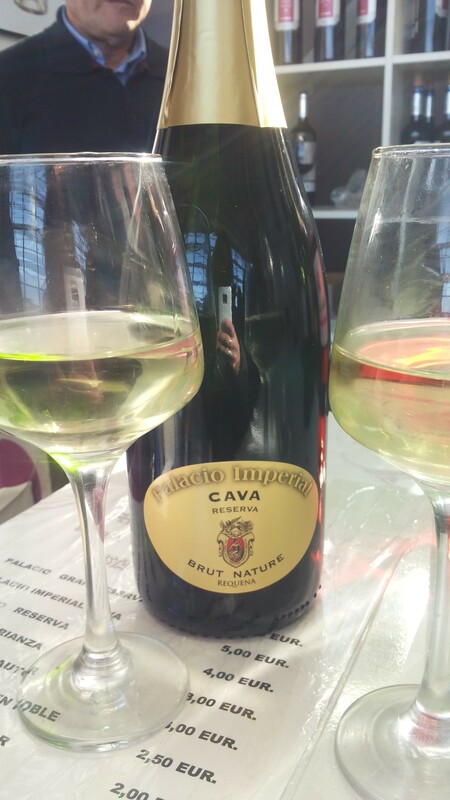 For the first time the Cava producers Association were showing their products separately and we enjoyed a glass whist we ate some `Bollo´, the bread covered with the local sausages and bacon produced locally by the Associación de Panaderos Artesanos. Five of the towns sausage producers were on hand serving very generous tasting samples. In the press conference launching the fair the President of the IGP ( Mari Luz Pedrón ) had said that visitors would receive a welcome with open arms! This edition of the fair certainly achieved that! For those interested in attending next years fair, no doubt with more innovation, transport is easy from Valencia ( by car up the A3 ) or by train. Those coming to the fair from Madrid or Valencia could use the fast train service ( AVE ) and enjoy a massive 60% discount on the fare price with free buses laid on to transport visitors to the fair or back to the station! Well worth a visit!!!! Although entry is free, to try all the samples you will need a ticket with 10 sub-tickets which you exchange for wine, sausages, bollo, etc. Something to Look Forward to!!!!! 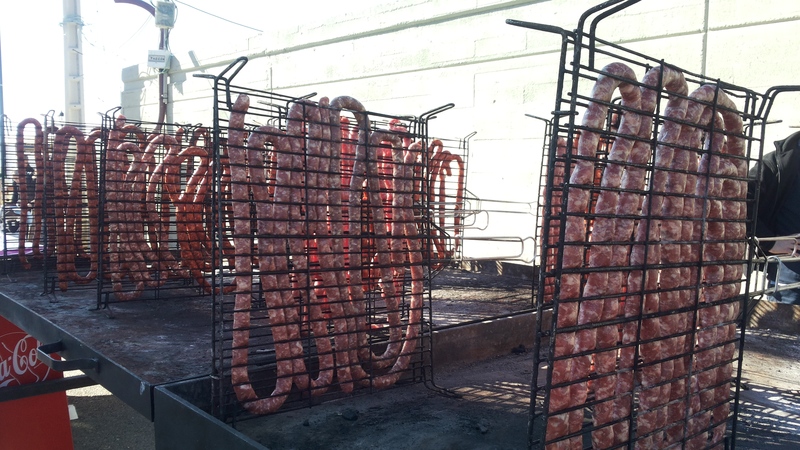 20th Requena Sauasage Fair.Now in its Disaster of a New Home! 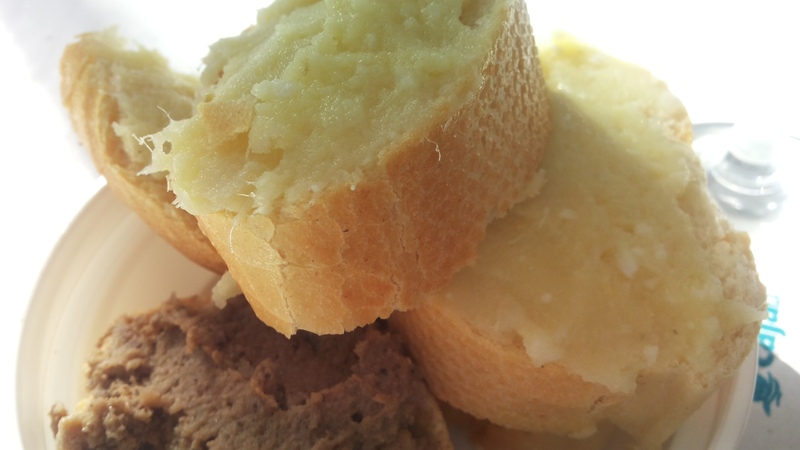 It is with a somewhat heavy heart this morning that I write about the Requena sausage Fair. 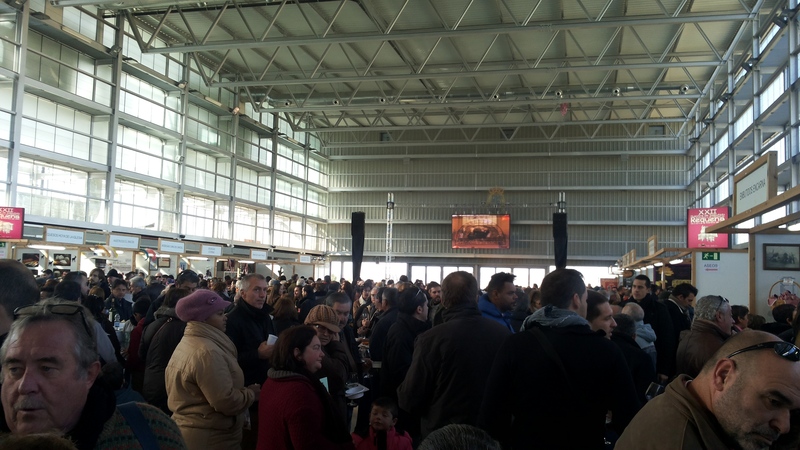 For most of the last eight years the early highlight has been the trip to Requena for the first of the years food fairs. The Muestra de Embutidos, in its 20th anniversary edition has this year moved into the newly built Recinto Ferial. The fair has traditionally been one of the most important in the region and is run by the CRIGP, the governing body for the sausage industry of Requena which is its own geographically protected trademark, just like Champagne, Melton Mowbray pies etc. It is heavily supported by the Valencian Government and the embutidos, the longanizas, the morcillas and chorizos, the perro and sobrasadas and the güenos and orzas are all made to strict recipes and quality control are all made from pigs grown and raised around Requena and sold by the nine butchers who are part of the organisation. 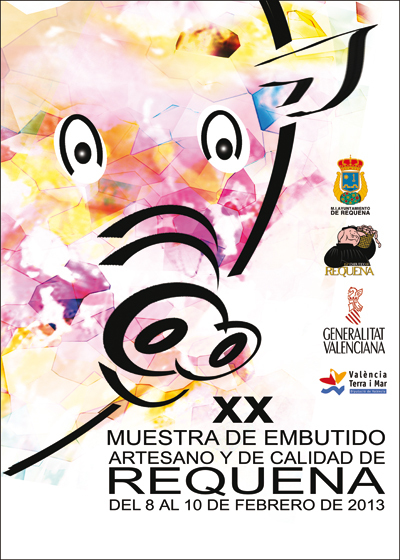 In the past the fair has been held in the Avenida Arrabal, Requena´s wide boulevard, around the Monument to the Vendimia. Several large marquees have held respectively the sausage producers, the Housewives association, the Panaderia association a coffee stall, cheesemaker and the occasional bodega which has provided the wine to wash your food down with. a further marquee held the tourist organisations such as the ruta-vino whilst in earlier editions of the fair there were pig roasts as well in the open air. The fair always runs the risk of the vagaries of the weather, in some years we have driven up in the snow, in others it has been sunny but with bitterly cold winds. But whichever it was the fair had an atmosphere, everyone wrapped up against the weather, polite queues at busy times for the rations of sausages or wine, most of all there was space. 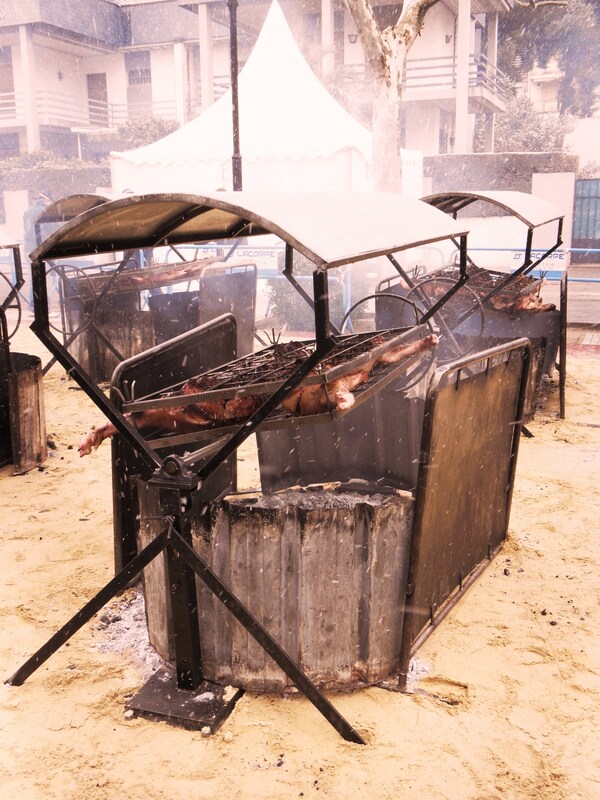 The fair has evolved…..as the crisis deepened the pig-roasts, which were provided by local restaurants, have been withdrawn. 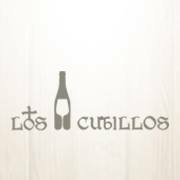 Last year and this the traditional exhibitors have been joined by more of the local bodegas giving a wider choice of wine to drink and this year the cofradia de arroz were absent but alternative meals were provided by the Cheste college cookery school. At some point in the past ambition has called for the sausage fair and Ferevin, which brings together the local bodegas and runs the August wine fair , to share a new site. The new Recinto Ferial, has been some time in the planning. A shiny new building on the edge of town, next to the fairground has finally opened. Sadly it has about as much atmosphere as an airport terminal on a strike day. Soaring several stories high, long and thin, the exhibitors and the crowd were shoe-horned into this new `cathedral´ which initially looked clean and bright. There were plenty of large tables where the public could lay out their plates of sausages, bollo etc and their bottles and glasses of wine. But that is all that was good that you could say about it. As the crowd swelled it quickly became obvious that there is insufficient space. The exhibitors were housed in generally over generous space for the number of staff they employed to dispense their products. (One exception being the cookery school.) The space between these areas and the tables down the centre left insufficient space for those who were eating and those who were queuing to exchange their tickets for food or wine to avoid a good buffeting by those trying to pass through the complex. Airline style queuing tapes were abandoned causing deeper chaos as the public did not know which to join queue for rations of food or bulk purchases to take home, causing health and safety hazards as they blocked the passages and all of this was exacerbated by displays of rhythmic gymnastics by local kids forcing the crowd to the edge and `traffic´to come to a total standstill. I totally understand why the town would want to exploit its new facility to the full but between 1pm and 4pm much of the facility was in gridlock. Far from having a good time, not one visitor I spoke to whether they were from Valencia city, further afield or International tourists were enjoying it. `Desastre total´and `desgracia´were the most common comments I was hearing many of them saying they would not return again. Nor were many pleased by the local Police who maintained the local car-park closed and re-directed the public to non-existent car parks elsewhere whilst the police helicopter circled the building continuously! Fortunately there was a camaraderie in the chaos. Which is just as well for the exhibitors. The Amas de Casa were providing platefuls of ajoarriero and mortuerela, the bollos from the Association of breadmakers and huge loaves of bread were being wheeled in and sold off either whole or in portions with clockwork regularity and the bodegas did a stirling job dispensing excellent wines….especially Coviñas. Latorre, La Madroñera, Cuevas and Aluvion. Nor should Nacho´s cheeses from Les Pedrones be forgotten, plates of artisan cheese from his local flock of and goats served with bread and olive oil. Fortunately more than one bodega owner also expressed a view that the layout was totally wrong…..especially as the August Wine fair which is due to use the venue is much bigger and attracts bigger crowds. What a shame that a successful event was brought down by a bad venue with masses of waste space and no room for expansion….unless you move outside. Maybe that is the answer…..here begins the Campaign to Restore the Fair to the Avenida Arrabal!